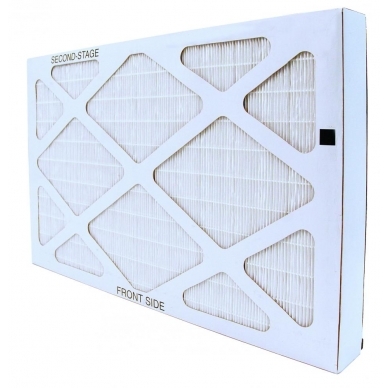 Replacement Filter Stage 2 for the Field Controls TRIO 1000P or TRIO 1000P2 Portable medical grade HEPA air purifier is recommended to be changed every 12-24 months depending on usage and the airborne contaminants. 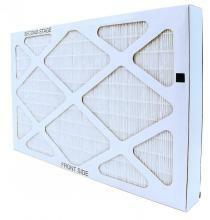 Includes 1 filter that contain the Activated Carbon and Hospital Grade HEPA. 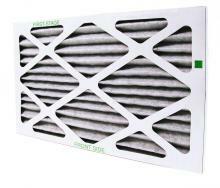 Filter Life: Recommended to replace every 12-24 months depending on usage and the contaminants in the air. 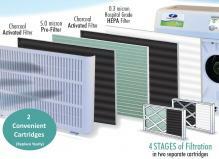 Medical Grade HEPA filter traps airborne allergens and contaminants down to 0.3 microns in size, 99.97% of the time. 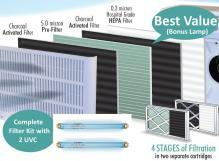 Activated Charcoal Filter - Reduces many common household odors, VOC's(volatile organic compounds) and household chemical smells.